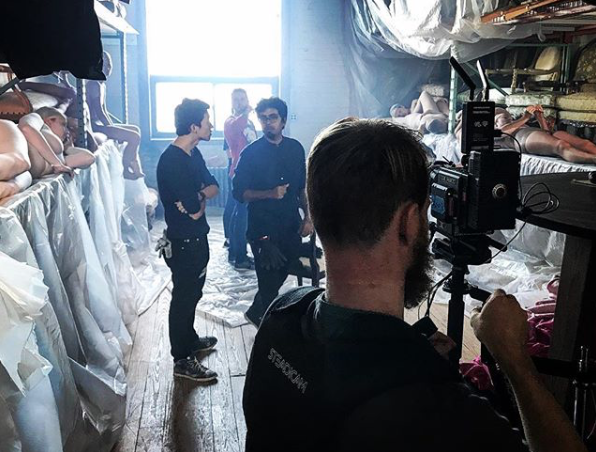 Last weekend I had the opportunity to work with an outstanding team of artists on the production of the soon to be released video for "Cold," a new single by NYC music duo BARK. Directed by Aizhan Tuganbayeva, the video takes us into a mysterious factory where strange things are afoot. Vague, I know, but I'm sworn to secrecy until the final video is released. Based on what I've seen it's going to be visually spectacular. As an actor, I spend much of my time submitting for work on Backstage, memorizing and reading for parts. A few times a week I get voice-over auditions courtesy of my amazingly dedicated and hardworking agent Eileen Schellhorn over at DDO. Here's a spot I recently read for (and got!) for Cortizone 10. The next time you have an itch you just can't scratch, think of me. Then go get some Cortisone 10.